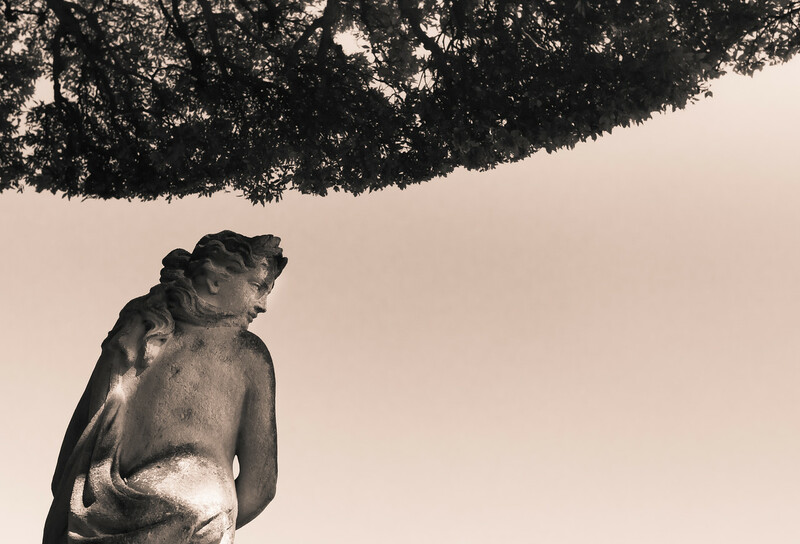 This beautiful statue stands on the grounds of one of the most beautiful villa‘s in Italy. 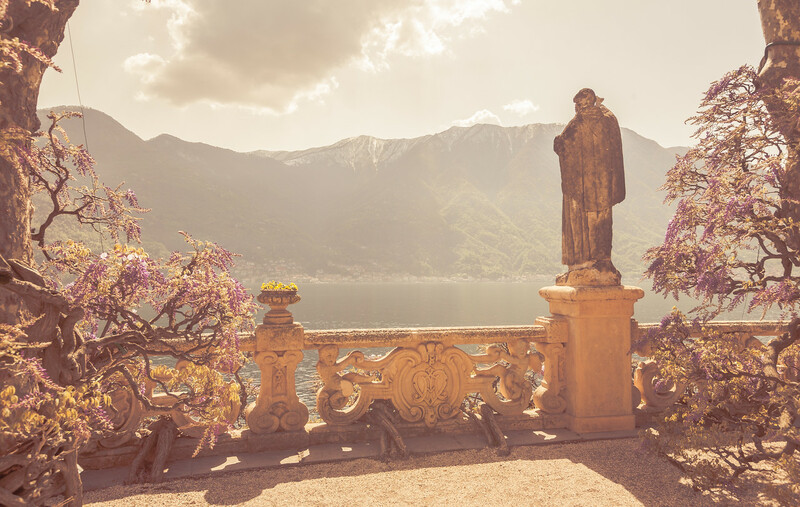 She longingly stares out across Lago Como, waiting. The canopy tree keeps her shaded in the hot Italian sun. She is beautiful, surrounded in luxury, but strikes me as so utterly alone. 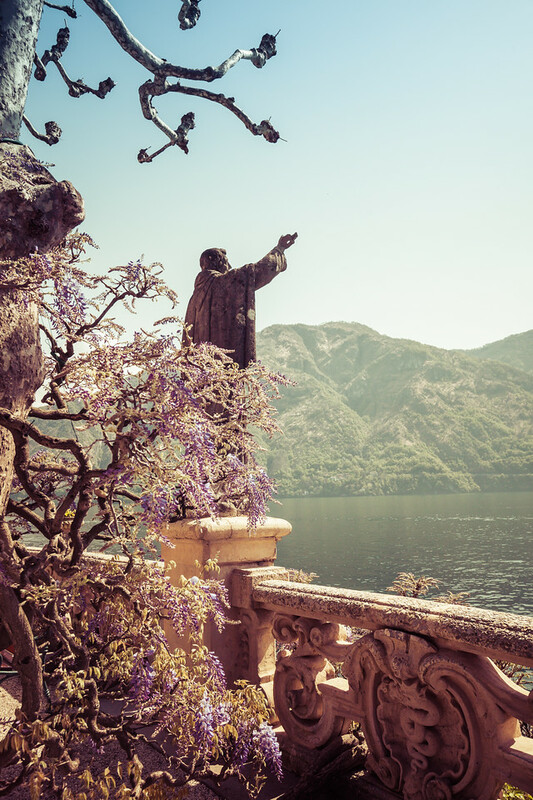 I have been very few places in the world as perfectly beautiful as Lake Como in Italy. I came to this spot, as I do many spots looking for this specific place. So often I find I journey great distances to find the places in photos I have seen…I find so much more. It was a cool, windy day on the lake, but warmer than it should have been for early April. The ferries were filled with people come for the day. People shopped in a way that only Italian’s can. People ate gelato, in spite of the cold breeze as if to signal how utterly over winter they all were. This day, the beginning bloom of the wisteria and the warmth of the sun was all people needed…we were alive.